FRANKFURT/PARIS (Reuters) -- Renault says it has recalled about 402,000 units of its top-selling Clio subcompact and 64,000 Kangoo vans built at its plant in Maubeuge, northern France, because of brake problems. 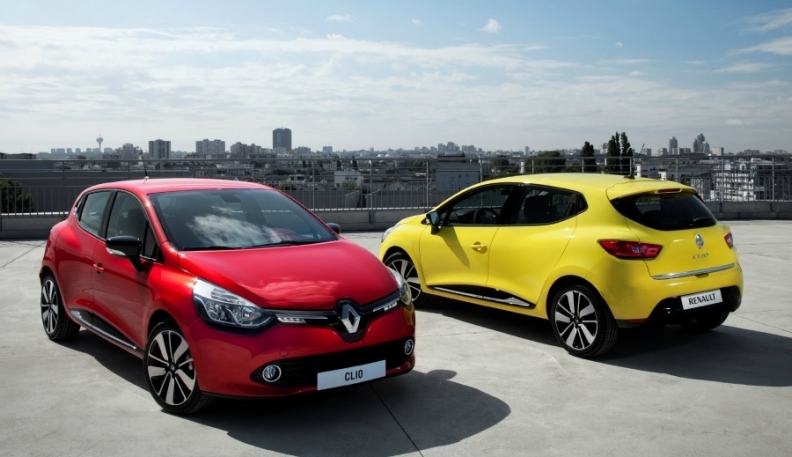 The Clio recall, which began last month, covers vehicles that may have a badly installed part that can rub on the brake lines, Renault said. The Kangoo delivery van recall was ordered earlier this month to correct faulty installation of the ABS in which some connectors were found to have been reversed. There have been no accidents or injuries as a result of this defect, a Renault spokesman said. Daimler separately confirmed it was recalling the Mercedes-Benz Citan small delivery van to check whether brake lines have been incorrectly installed on models built between September 2012 and May 2013. The Citan is based on the Kangoo and assembled in Maubeuge under the two carmakers' manufacturing partnership. In Germany alone, Mercedes is recalling 6,597 vehicles, a spokeswoman for Mercedes said on Wednesday. Daimler did not provide figures for how many vehicles are being recalled in Europe. The Citan has proved to be a problematic vehicle for Mercedes. In May last year, Mercedes recalled 3,500 Citans in Europe because of faulty airbags, shortly after the van scored only three out of five stars in a EuroNCAP crash test. The current recall has been underway since the end of July, and requires vans to go to a workshop for about an hour, the spokeswoman said. No people have been hurt as a result of this potential fault, she added. In 2013, Renault built 137,715 vehicles in Maubeuge, of which 17,687 were Mercedes Citan models. Renault formed an alliance with Daimler in 2010 to cooperate on commercial vehicles, small cars and powertrains.